Hi everyone. So about 6 weeks ago Daisy from the Born Pretty Store contacted me regarding sending me some products to review for them, I was absolutely thrilled and jumped at the chance! 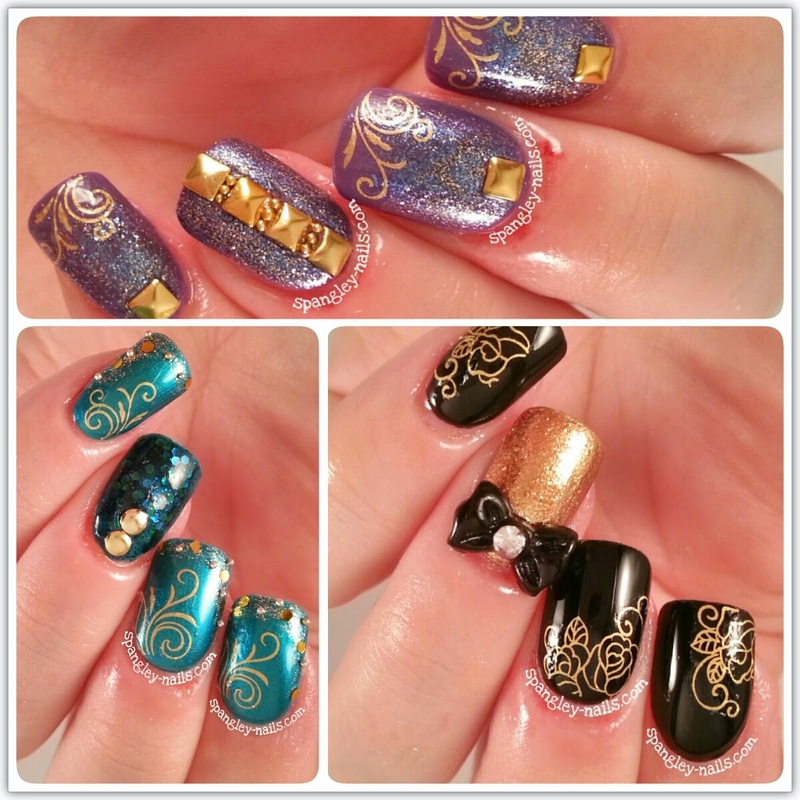 One of the things I chose was these really cute gold water decals with swirly shapes and roses. The first thing I noticed about them is they are identical to the body tattoos I used to wear as a child - you know the non permanent ones you apply with water that come off 3 days later in the bath? That's exactly it, except smaller and more delicate. The decals are really easy to apply - surprisingly easy actually. I thought they would be very fiddly to line up on the nail, I couldn't have been more wrong. I read quite alot of different application instructions before attempting to put them on my nails before settling on my own way. 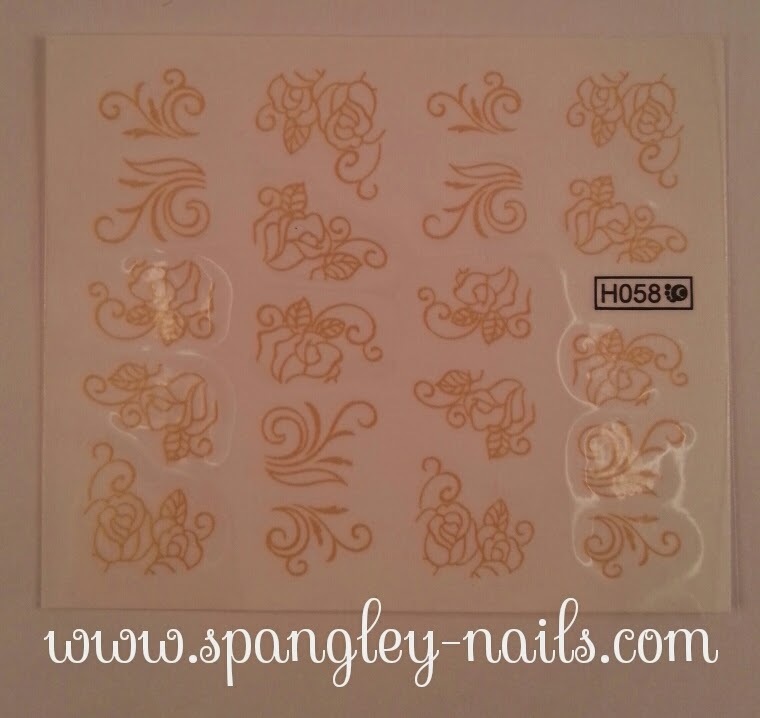 As I mentioned you apply these to your nails with water, so, after cutting your desired decal from the pack you can either wet it then and stick it on your nail OR you can place the dry decal on your nail and use a cotton bud to apply water. I chose the latter method. I have 3 Nail Art designs to share with you today using these cute decals and I'm super happy with how easy, quick and beautiful they are. For this design I applied 2 coats of Models Own - Black Magic and once it was completely dry I applied the rose decals from my pack. 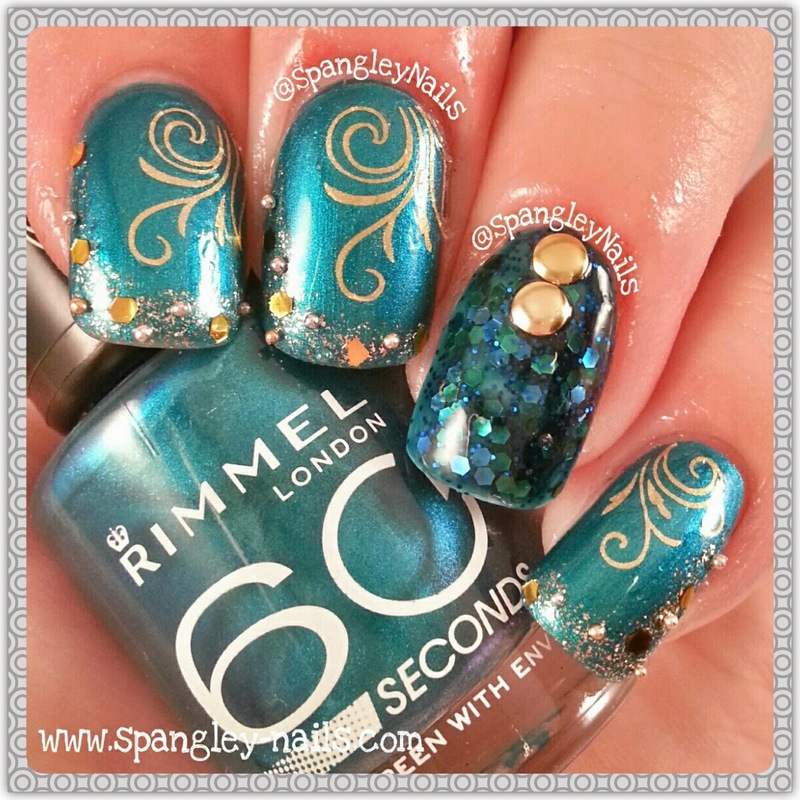 For the second design, I panted my nails with 2 coats of Rimmels Green With Envy and applied the gold swirls to 3 of my nails - I'm impressed with how elegant this looks. Its very 'Under The Sea' esque. For the third and final design - and my favourite of the bunch, I added 2 coats of Rimmels Ultra Violet and 1 coat of Sally Hansens HD - DVD (to crate the holo purple) and some unnamed OPI gold glitter to my nails. Once that was all dry, I added 3 of the gold patterns, this time to the bottom of my nails. Application: Extremely easy. Separates from the cardboard and onto the nail flawlessly. Nail Art: Perfect addition to any plain polish colour. Would be useful for those who are new to Nail Art too. Adds a little something extra to any manicure. Additional Comments: Make sure the polish is completely dry before starting the process. You buy these decals by clicking here, or you can head straight to Born Pretty Store and search for item number #14926. At the check-out enter the code LJL91 for 10% off your entire purchase. 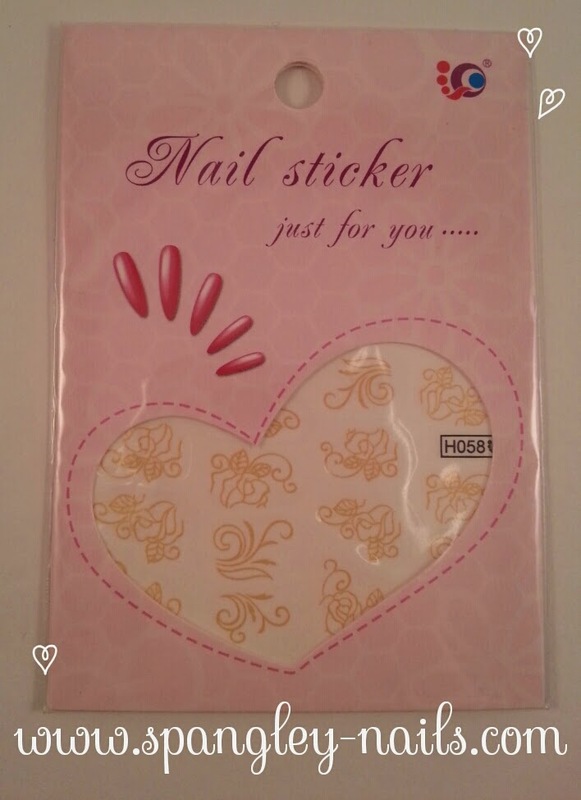 Its also free shipping worldwide - if you're in the UK like me, items usually take around 10-14 days to arrive, so be sure to stock up on your Nail Art supplies in one go!